Rona Rangsch (DE), Ding Ren (USA), Aslak Gurholt Rønsen (NO), Ian Stephen with Christine Morrison (UK), Jeff Talman (USA), Sally Waterman (UK), and Philippa Wood (UK). 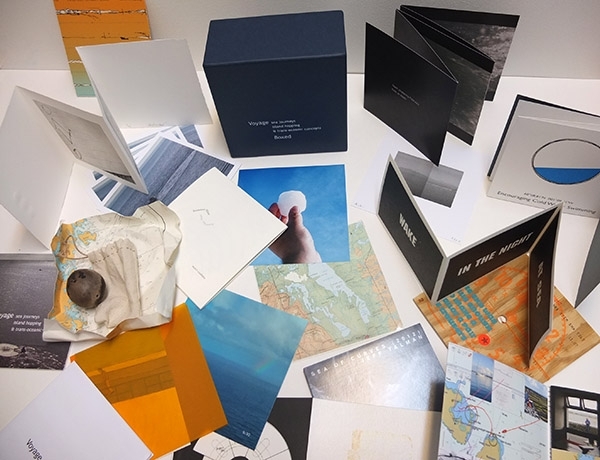 The exhibition Voyage: sea journeys, island hopping and trans-oceanic concepts was held at Künstlerhaus Dortmund, Germany, in 2013, curated by artists Imi Maufe and Rona Rangsch. 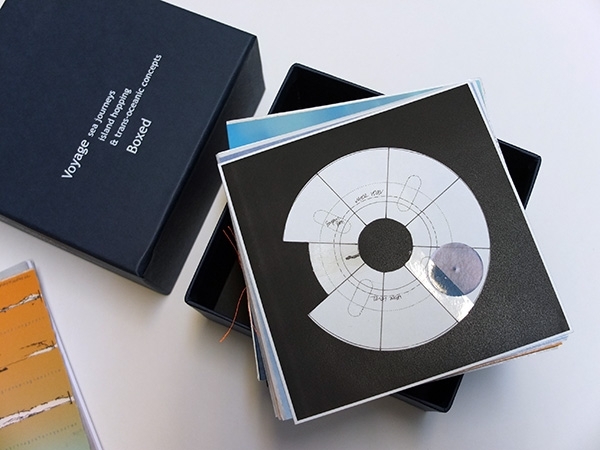 Voyage, purposefully shown in a land locked city, brought together artists with works that explored the theme in often subtle and less obvious ways than one would expect.We wanted Voyage to tour, and this boxed version is our creative answer to the issues involved with touring exhibitions. 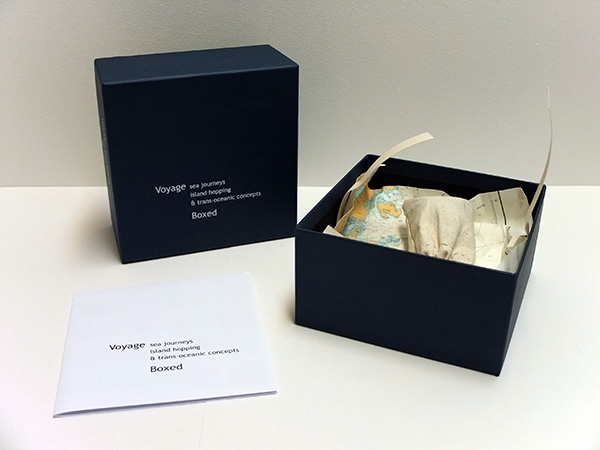 Voyage Boxed aims to represent the original exhibition as a multiple edition in a format of just 14.8x 14.8cm. 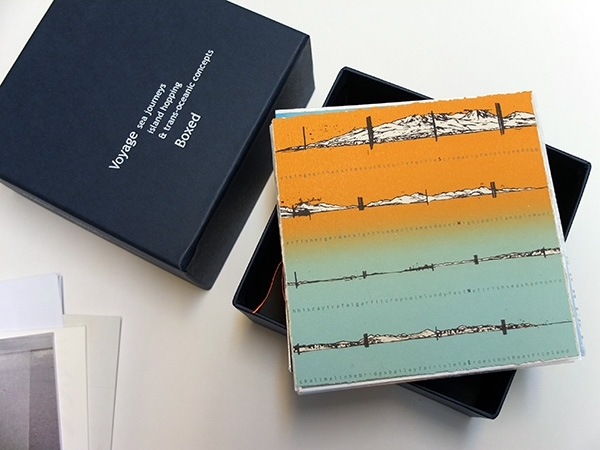 The box includes a collection of artworks by sixteen of the Voyage artists and the two artist-curators, and the original exhibition catalogue. 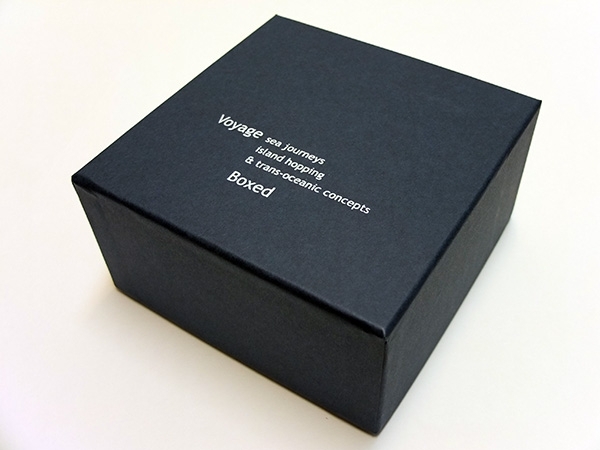 Voyage Boxed has been produced as a limited edition of fifty, with each artist receiving two copies. 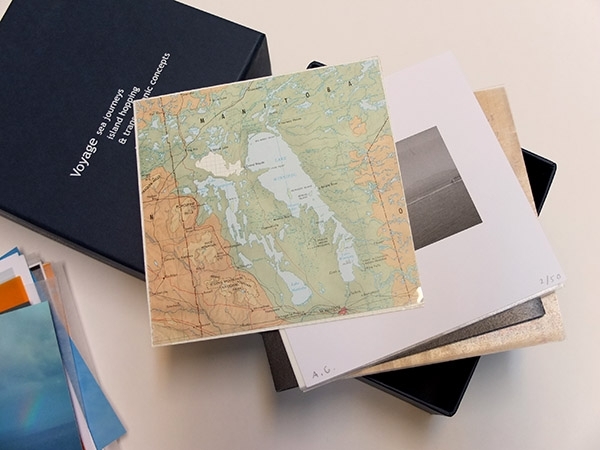 2016 Represented by Collectif Blanc in the exhibition ÉDITION(S) EXPÉRIMENTALE(S), UQO Gallery in Gatineau (Quebec) from 24 Feb to 2 April 2016, as well as part of the first edition of the Toronto Art Book Fair in Toronto in June 2016, and finally in Montreal in the Fall 2016 (location to be confirmed). 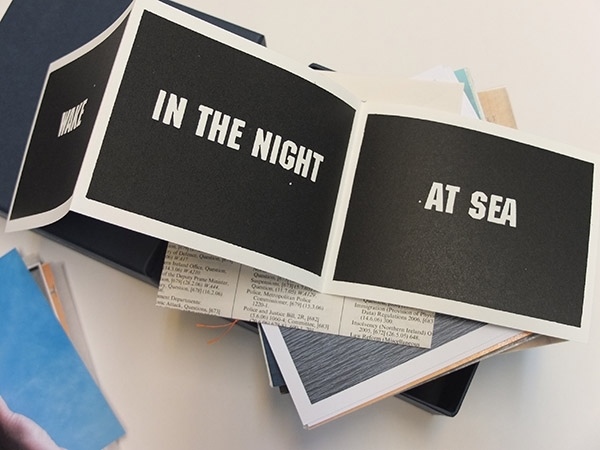 Presented at Libres D'artistes: Artist's Book in Theory and Practice, Cardiff University. 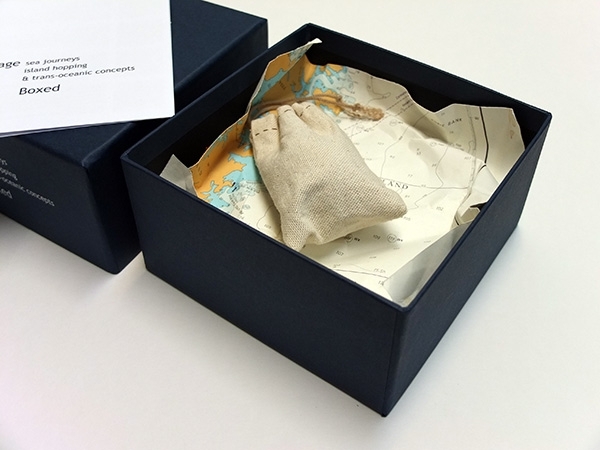 Selected for Kaleid London 2015, Art Academy, London. 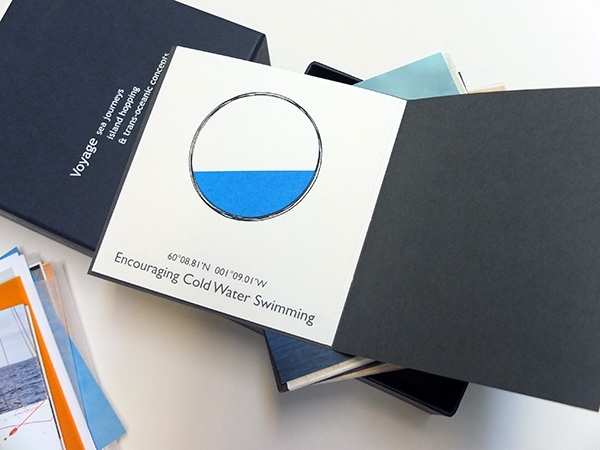 Represented by Kaleid at several artist's book fairs including London Art Book Fair and also the Printmaking in the Expanded Field conference in Oslo. 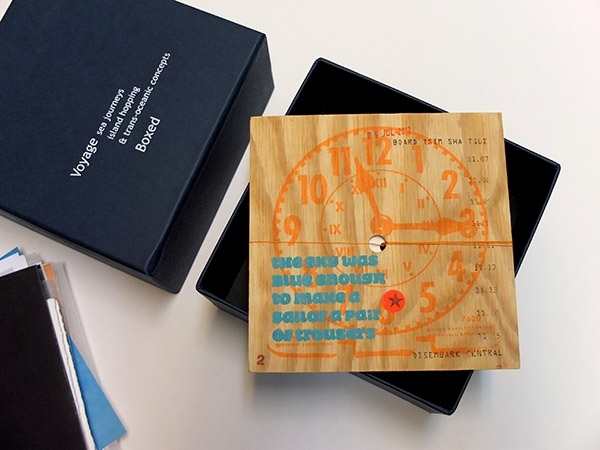 12 June - 3 July: The Library, Lady Margaret Hall, University of Oxford, UK.